Srdjan Dimić and his wife fled from their home in Izvor, Kosovo, to Serbia in 1999. In 2017, they returned with their baby daughter to find their house completely destroyed. With nowhere to live and no means to pay rent, the family found shelter in Srdjan’s brother’s basement. The family was struggling. Their cramped living quarters, concern for their new-born child and lack of financial means left them feeling overwhelmed. 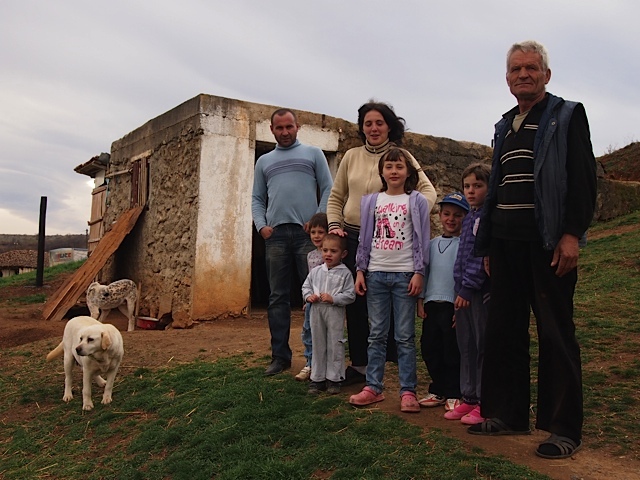 Families like Srdjan’s who return to remote, rural areas often find it difficult to cope on their own in the beginning. To make sure these families get a chance to rebuild their lives in Kosovo, PRM projects implemented by DRC fund basic needs assistance, including food and essential non-food items, that can help families get over the first difficulties. As part of the PRM project, DRC could also advocate with local authorities to prioritize the family for full house construction, which was approved shortly after. While the family was waiting for their home to be completed, the project focused on helping Srdjan make an income to provide for his family. Because of his experience in making brandy, Srdjan was selected for a brandy production grant and received brandy production equipment, trainings and business mentoring as well as market access through participating in trade fairs. In 2018, with construction of the house completed, the family moved into their new home. Putting the grant he received in 2017 to use, Srdjan produced over 1000 litres of brandy, which he sold at fairs and directly to restaurants in the region. With the success he achieved as a result of the PRM-funded brandy production grant and business and grant application trainings, Srdjan felt confident to try and expand his business. To save costs and increase production, Srdjan developed the idea to plant his own plum and apple trees. Using his experience he gained during the PRM project, he successfully applied for a follow-up grant from Serbia of 700 plum and apple tree seedlings. With a little assistance to get started, Srdjan and his family have taken great strides towards reintegration in Kosovo. PRM funding allows DRC to continue supporting other returnee families to rebuild their lives and livelihoods in Kosovo.